The Great Mother Bible – National & International Awards! The Great Mother Bible -Winner of COVR National Book Award & Finalist in the International Book Awards. (FREDERICK, MD/July 6, 2016) Pamoon Press is delighted to announce that The Great Mother Bible has won the Coalition of Visionary Resources 2016 National Book Award in the “Inspiration” category. This book is the third of multi-award-winning author Mare Cromwell’s books and the second in her series of books of downloaded messages from Earth Mother. In addition it won the People’s Choice and tied in the Retailers Choice in the same category. The Great Mother Bible is also an Award-Winning Finalist in the “Spirituality: Inspiration” category of the 2016 International Book Awards. This particular book competition accepts books from all areas of the publishing industry worldwide: mainstream, indie and self-published. Thus a Finalist Award is significant recognition considering that The Great Mother Bible is self-published. This unique spiritual book cuts to the essence of women’s spirituality like no other book has. It eloquently conveys the nurturing feminine quality, a healing quality that is much needed at this time. Human treatment of the environment is sadly out of balance and there is much chaos in the social, political and natural realms across the globe. At one point in time visionaries in indigenous cultures communicated with Mother Earth to keep human’s relationships with her in balance. 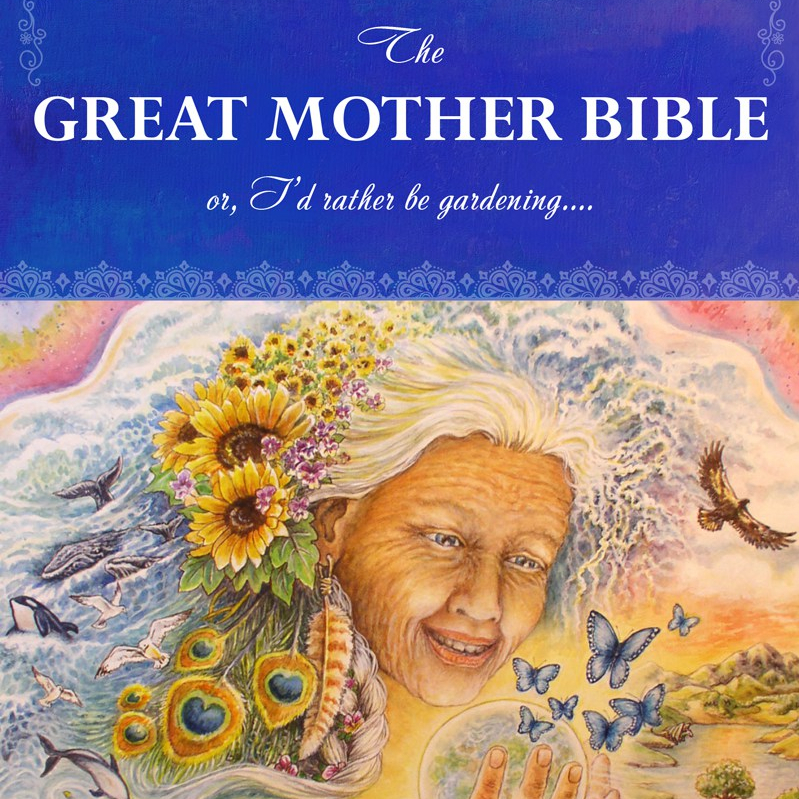 The Great Mother Bible offers to restore that communication to ultimately bring us back into balance again. Laced with humor and insight, The Great Mother Bible is a work of revelation and self-revelation. It is grounded in the day-to-day joys and sorrows of the author, which she delivers with unvarnished candor. It is rare to find a book that delivers such lofty visions of the divine realms, while also speaking nakedly about the pains and joys of everyday relationships with lovers, cats, money and mentors. This book so powerfully embraces the Divine Feminine that it is already impacting readers’ spiritual lives in quite significant ways. The wisdom within this book just might help bring out the healing our modern-day society needs to gracefully transition into the New World being born presently. If we are on the cusp of a spiritual revolution driven by the Goddess Energy, this might just be the book that lights the fuse to help bring more beauty and balance into this troubled world. Mare Cromwell is a multi-award-winning author, international speaker, healer and nature mystic. Her other books are: Messages from Mother…. Earth Mother and If I gave you God’s phone number…. Searching for Spirituality in America. She has studied with Native American teachers for twenty years and participated for three years on the World Council for Wisdom Gatherings. She leads workshops on our Sacred Planet-Earth Mother, Womb Wisdom and Sacred Silliness. She also produced the Great Mother Wisdom Gathering in 2014, and loves to be involved in Sacred Water Ceremonies. In addition Mare is a former worm herder and Sacred Gardener who calls Western Maryland home. This week ive been “speed” reading your book. Wednesday evening I started with the first chapter. And that night I woke up at 05:50 in the morning, which is unusual since I usually wake up around 08:00, and I was fully energised and when I asked myself what to do it said “meditate, then read”. So that morning I read the first 5 chapters :D.
And everything that is written vibrates with me on such a deep level. The part about aliens, about the great mother and great father and great mystery, the akashic records, the christ conciousness. I’ve read small bits and pieces of this information, but seeing it all layed out like this, it has inspired me so much to continue growing in the direction I am going. So from the deepest part of my soul I would like to thank you for taking the time and investing a part of your life of writing this book and serving the universe and helping bring more light and love into this world.